The box office reign of "Avengers: Infinity War" has come to an end thanks to a raunchy mercenary. 20th Century Fox's R-rated superhero film "Deadpool 2" won the domestic box office this weekend with an estimated $125 million opening weekend, according to Fox. That was enough to knock Disney and Marvel Studios' "Avengers: Infinity War" off the top spot, which it held for three weeks. Despite losing its crown, "Infinity War" is still a box office king. In less than a month of release, the superhero film, which stars Robert Downey Jr. and Chris Evans, has made $1.81 billion globally. That makes it the fourth biggest global opening in history and the highest grossing superhero film of all time. This weekend "Infinity War" made $113.1 million around the world following its opening in the world's second biggest movie market, China, last weekend. Disney is reporting that the film has crossed $300 million in China after just 10 days of release and is already the No. 4 western release of all time there. 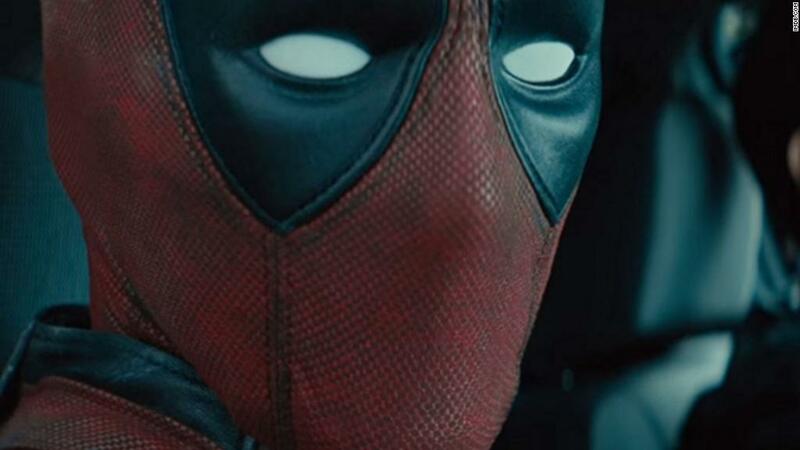 As for "Deadpool 2," which stars Ryan Reynolds as the foul mouthed Marvel hero, it nabbed the second biggest domestic opening for an R-rated film ever behind its predecessor 2016's "Deadpool," which pulled in $132 million for its opening. "'Deadpool 2' proves once again that when properly applied, the freedom that a R rating offers can be both creatively and financially fulfilling," said Paul Dergarabedian, senior media analyst at comScore (SCOR). Even though "Deadpool 2" and "Avengers: Infinity War" are Marvel films from two different studios, the films brought heroics to the box office this weekend. This weekend's North American totals were up a whopping 63% over the same period last year. Overall the yearly box office is up 6.3% from 2017.